Does the cold weather have you feeling down? Think warm, Spring thoughts. We are almost there afterall. Learn more about out topsoil and mulch services to begin to plan for this year's garden. Firewood Delivery for full cords and half cords are available for purchase online. Please be rest assured, purchasing firewood online is only an option. You will always be able to phone, fax, or order online with different payment method such as, credit card, check or COD. All credit cards accepted. New Jersey and New York firewood customers welcome! 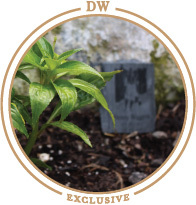 Begin your next gardening project with Denny Wiggers. Our garden center carries a large variety of trees, shrubs, and flowers as well as your gardening essentials like mulch and topsoil. Whether you have a green thumb or aspire to have one, visit our garden center to help create the garden of your dreams. 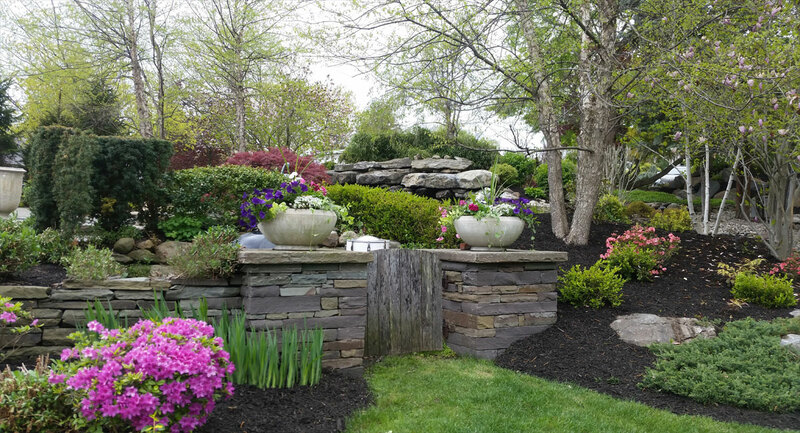 Landscaping services, topsoil & mulch delivery service, and custom stone furniture are available too. Topsoil is the very basic ingredient of every landscape project, garden, and planting project. Topsoil is not just dirt, it also contains water, air, and organic material such as humus and minerals. A minimum of 3 inches of topsoil is recommended for grass, plants, trees and shrubs, giving them enough room for root survival. Call Denny Wiggers for your next topsoil project. Mulch is a homeowner and landscapers best friend. Of all the investments that can be made, mulch is the #1 asset to give the appearance and overall health for your trees, plants and flowers. With mulch, your yard will go from plain to pizzazz! 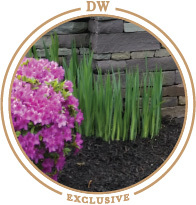 Not only in looks but deep down to the roots, mulch is locking in moisture, pushing weeds away and giving a hug of warmth in the winter and coolness in the summer! 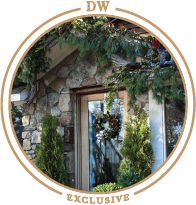 Denny Wiggers Landscaping and Garden Center located in Bergen County proudly serves North NJ and NYC for 30 years as a full service garden center, nursery, and professional landscaping company. All our trees, plants, and shrubs are specifically suited for the northeast area as well as our perennials and annuals. 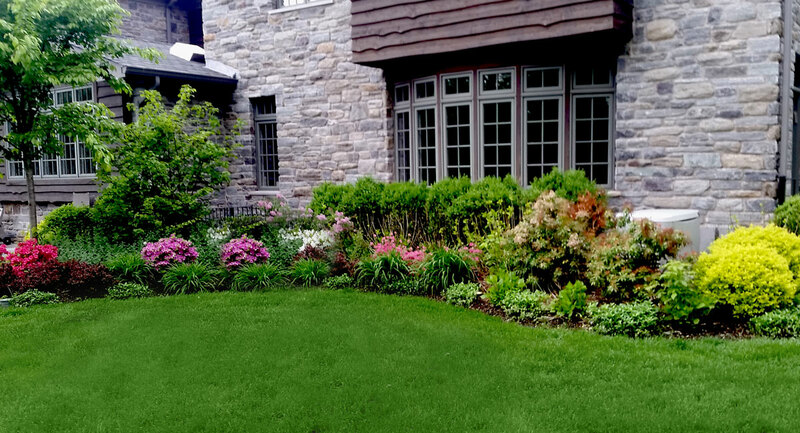 Let us design and install a beautiful landscape with your vision and our guidance. From something simple as a blue stone walkway to a Zen garden or a babbling waterfall, we can create the look you have always dreamed of. Our staff is knowledgeable and helpful. Whether you're a beginning gardener, or a seasoned professional, we'll take the time you need to answer all of your questions and help you choose the right materials for your project. We carry standard and specialty topsoil, mulch, pavers, and gravels for residential and commercial landscaping and gardening projects for both homeowners and landscapers. 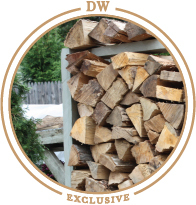 Although firewood is traditionally thought of as a winter product, at Denny Wiggers, we carry premium, seasoned firewood all year long. 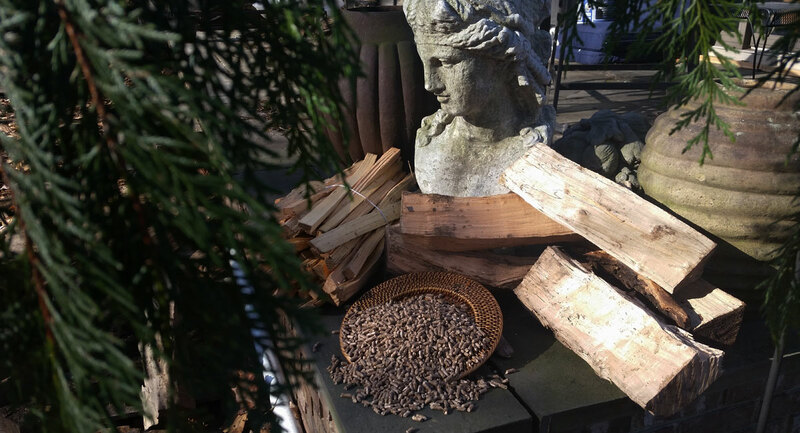 For your fireplace, wood-burning stove, fire pit or lighting a campfire, Denny Wiggers seasoned firewood can accommodate your needs.